All businesses have different needs. We understand this at Copier Los Angeles. 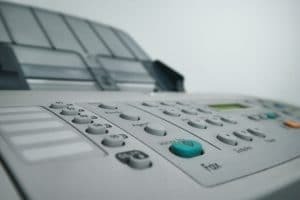 While some people can get by with a desktop printer, others need the best printing possible to make their business grow. If the latter is the case for you, then you need to consider getting a tabloid copier. At Copier Los Angeles we have a variety of tabloid copiers for your business that will give you more power than ever before. To cover the basics, a tabloid copier is a copier that has the ability to print tabloid sized paper. These prints will measure at 11” x 17” instead of the normal 8.5 x 11.” This gives you a greater ability to use different media sizes for different jobs. You will have the ability to print a legal document, or a full color poster in your own office. Tabloid copiers are the biggest and most powerful copiers on the market. They have more moving parts and are able to offer more than their cheaper counterparts. A tabloid copier not only gives you more prints per minute, but it can also offer you better color as well. Tabloid copiers are made with the hardest jobs in mind. There are a number of tabloid copiers for your business, and it’s all about finding the one that fits you. Tabloid copiers are quite a bit more expensive than regular copiers, so it’s important to know that a tabloid copier is truly what you need. They are not for everyone, and you will usually know if a tabloid copier is what your business needs. Call us today at Copier Los Angeles to get a tabloid copier for your business. We can show you a variety of solutions that will help you solve you biggest print and copy dilemmas.